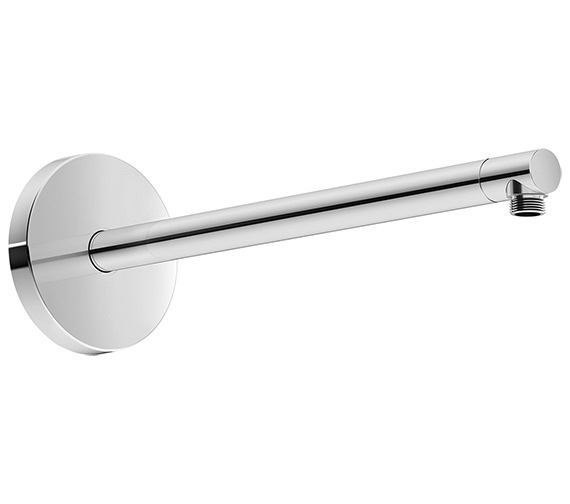 This elegantly stylish Duravit Shower Arm with Wall Mounting Plate will give you a fabulous showering experience when combined with the showerhead of your choice. This unit comes in glistening chrome finishing for giving your bathroom a majestic appeal. Built from premium quality brass pipe to the highest standards, this unit will please you with excellent performance over many years. This unit features round escutcheon. For instantly sealing your buying decision, the manufacturer fully backs this unit with a 2 year warranty against any manufacturing faults. 2 years of warranty from the manufacturer against any manufacturing defects.